LINCOLN, Maine — The editor and publisher of the Lincoln News died this weekend after suffering an apparent medical problem, newspaper workers said Monday. Kevin Tenggren, 46, had run the weekly newspaper, which covers the Katahdin and Lincoln Lakes region and has a circulation of 6,300, since 2005. He succeeded his mother, Sheila Tenggren, whose late husband bought the newspaper in the early 1980s. Tenggren’s body was found at his home in Lincoln on Saturday. He apparently suffered some kind of internal bleeding, although an autopsy will probably be required to determine exactly why he died, said David Whalen, the newspaper’s production manager and a Lincoln Town Council member. With Tenggren’s death, the Lincoln Lakes and Katahdin regions have lost a caring custodian, eager to help social service organizations and residents with fundraisers and other relief efforts, Whalen said. Chris DeBeck, a reporter and photographer for the paper, said he found himself still feeling shock Monday at Tenggren’s death. The past few years had been difficult for Tenggren, according to Whalen. Among the things the publisher had to deal with was the fire that destroyed his newspaper’s printing press and building in November 2009. The News grew under Tenggren’s tenure. He rebuilt the building after the fire and launched a Katahdin region edition a few years ago to offset that area’s loss of two other weekly newspapers. 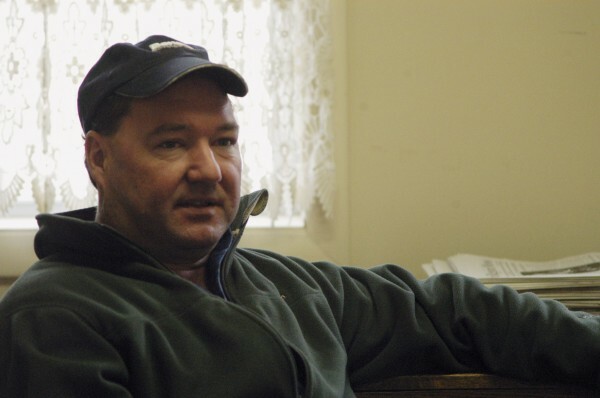 Tenggren was an award-winning journalist, capturing a first-place award from the Maine Press Association for his coverage of the fire that devastated much of Lincoln’s downtown in 1999. He oversaw an editorial staff of three reporters, typically laying out most of the newspaper by himself and writing stories. Funeral arrangements have not yet been determined. Besides his brothers Matthew and Randy, Tenggren leaves behind a daughter, Colby. Matthew Tenggren is due in from California on Monday or Tuesday to make funeral arrangements and to decide how to proceed long-term with the News, Whalen said. In the meantime, the newspaper will continue publishing on Thursdays, DeBeck said. “We have some pretty good people who have been here for awhile. They know what they are doing. We can carry on,” DeBeck said.